Since graduating with a Masters of Archival and Information Studies in Canada, I have worked as an archivist and records manager for both government and international organizations including World Health Organization, International Monetary Fund, and most recently at the United Nations High Commissioner of Refugees in Geneva, Switzerland. 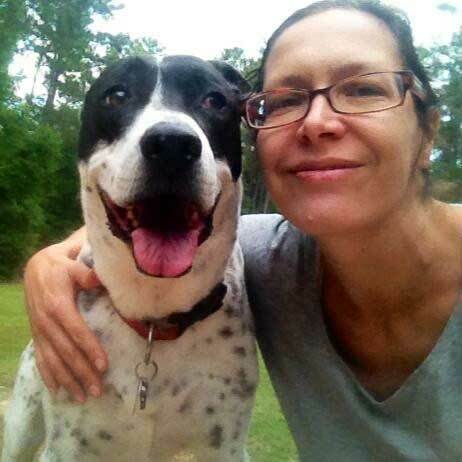 In 2012, my husband and I moved to Southern Pines, North Carolina and I immediately became a volunteer for Moore Humane Society (in my eighth month of pregnancy in fact!). Having an adopted dog of my own at home, twelve-year old Samantha (“Sam”), I wanted to make a difference in the lives of homeless animals. Also, being new to Moore County, I hoped to meet like-minded animal lovers. I am proud to be part of a caring society of dedicated staff and volunteers. Being around our animals is therapeutic; they help me to feel more energetic and brighten my mood. Once you get to know their unique, lovable personalities, it is impossible not to want to come to the shelter and spend as much time as possible with them! Last July, I adopted a Chihuahua mix, Arrow, to join our family. I am thankful to be part of the team to address the challenges as well as the new adventures ahead for Moore Humane Society.